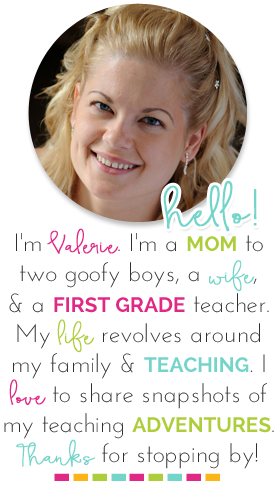 Nicole and I are so excited to be sharing our NEW classroom mission with you this month! 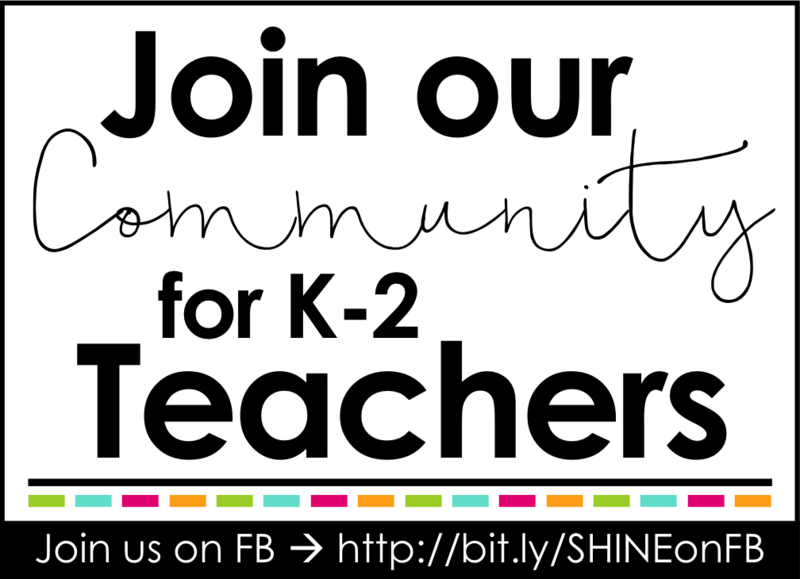 We love how it turned out and we hope your students will love it too! After working on Save Christmas, we took some time to evaluate what worked and what could be improved. We did a lot of refection but, more importantly, we listened to everyone's feedback and created our next mission with your ideas in mind. 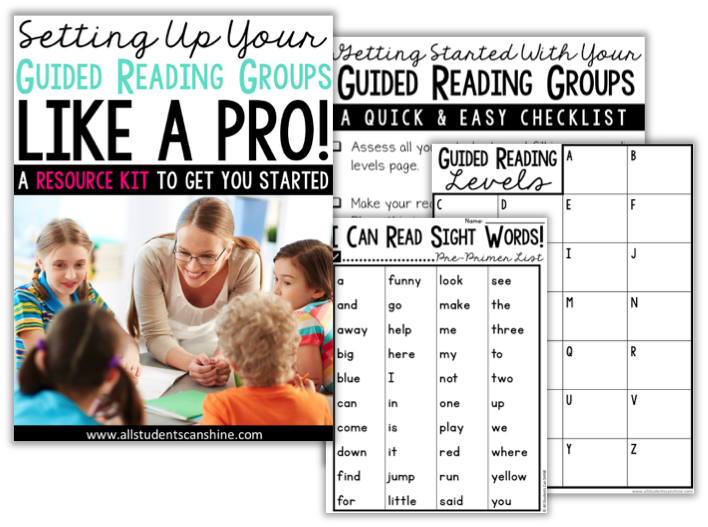 Second, we wanted to help teachers out by providing you with clear instructions and lesson plans. We worked hard to make sure that you won't have to guess what to do when. 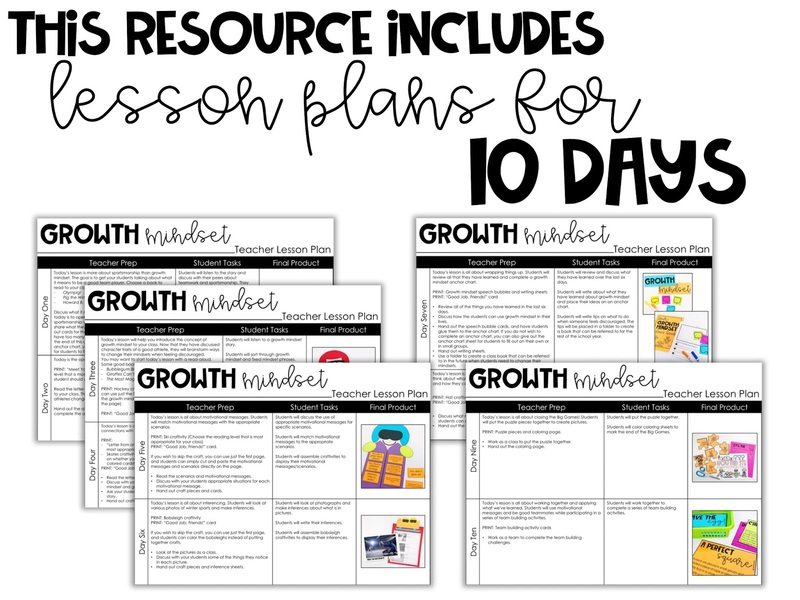 Everything is planned out for you in a nice 10-day lesson guide! Students will receive a letter from a reporter and will be presented with a problem. This time, athletes are having a really hard time getting along and are not feeling confident for the big games. They need our help to change their mindset and change the games. 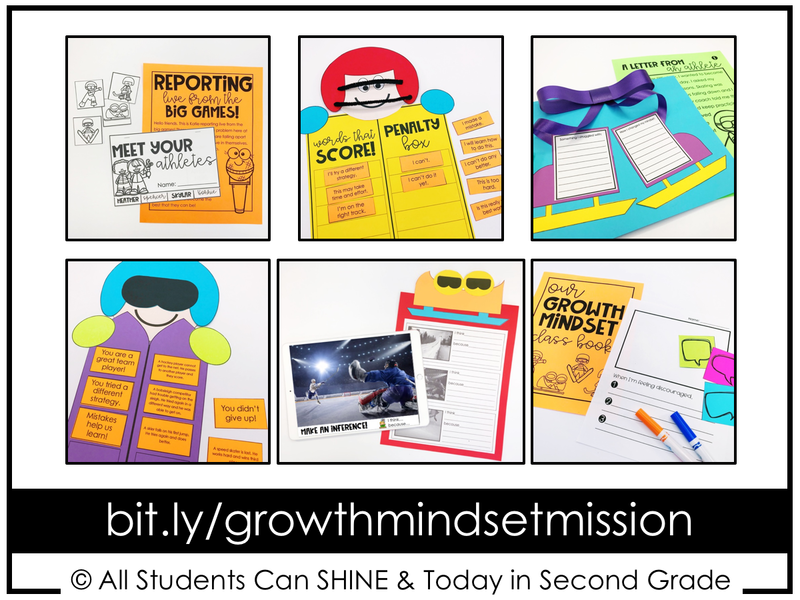 The mission is a series of challenging and educational activities with a growth mindset theme. 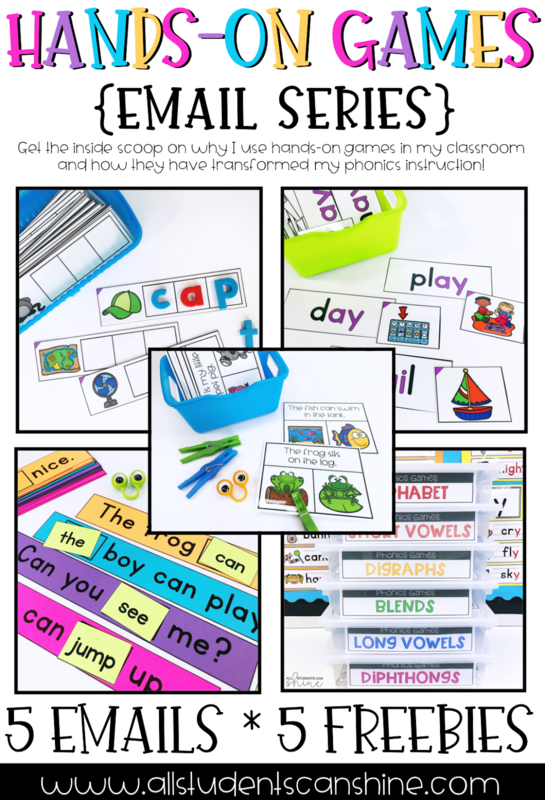 Students will work on activities such as sorting vocabulary, inferencing, reading response, motivational messages, and more! 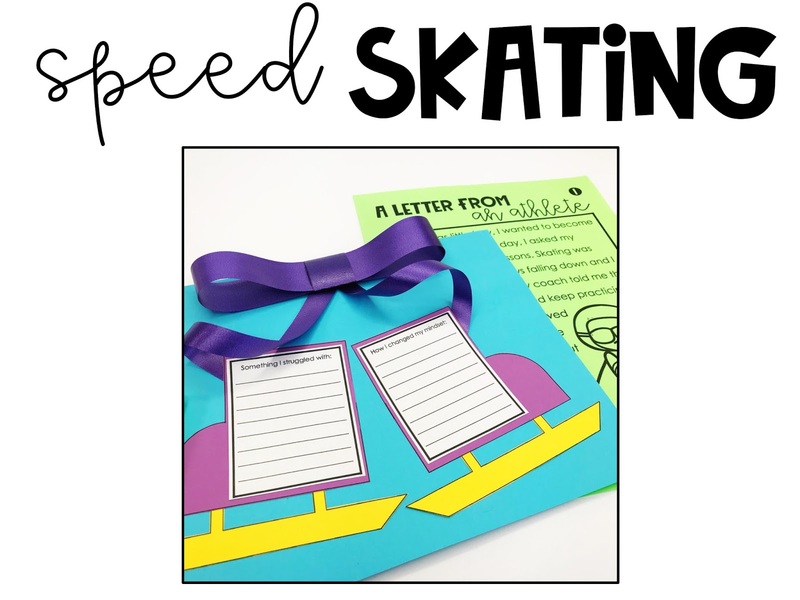 They will also be creating fun craftivities along the way such as sports crafts (hockey, bobsleigh, skiing, and skating), a flip book, a class collaborative book, and an athlete hat. Every time that they complete a challenge, they will collect a puzzle piece. 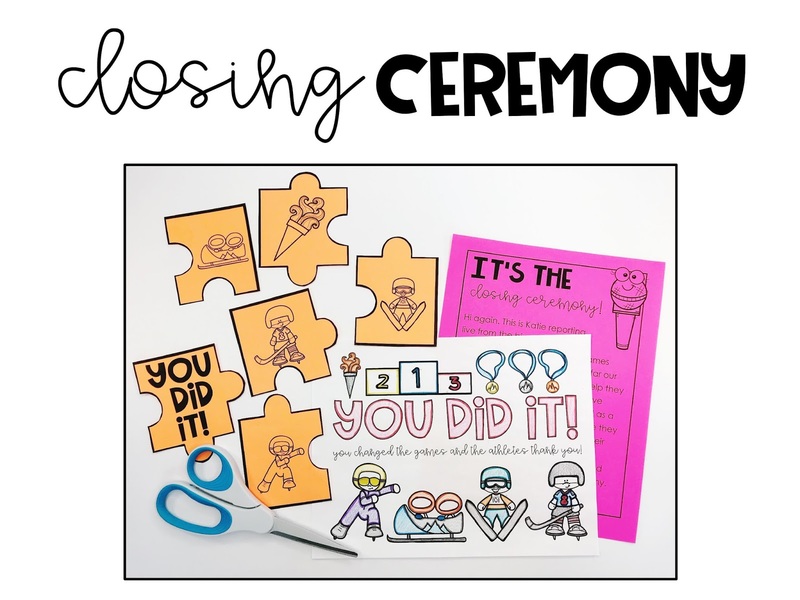 At the end of the mission, students will have collected all the puzzle pieces for the closing ceremonies of the big games! 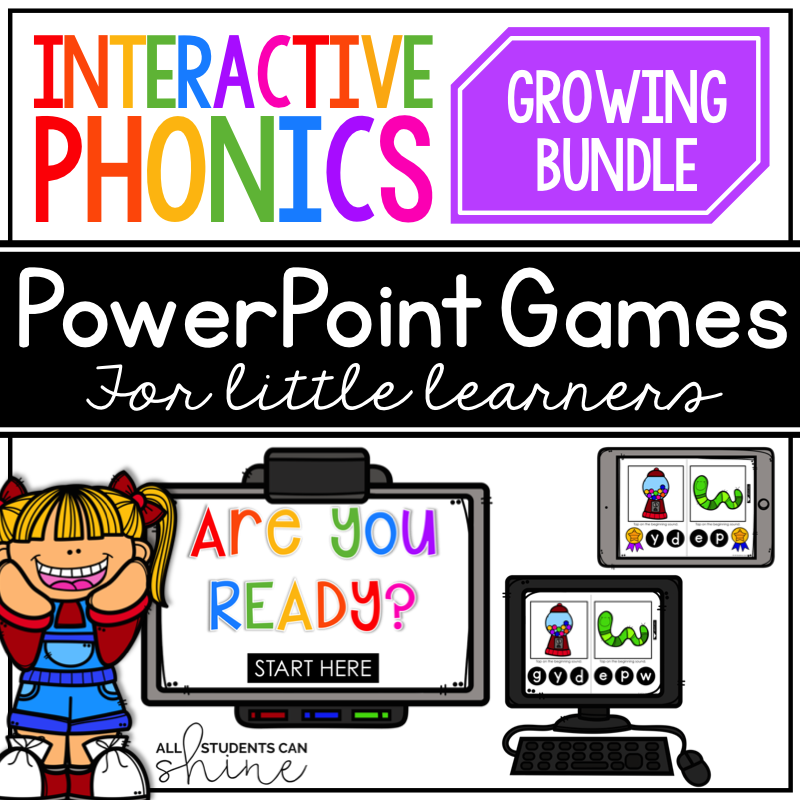 In addition to all activities and crafts, you will also get everything you need for anchor charts, puzzles, teamwork games, and a 10-day lesson plan guide. At the opening ceremony, students will be introduced to four athletes. 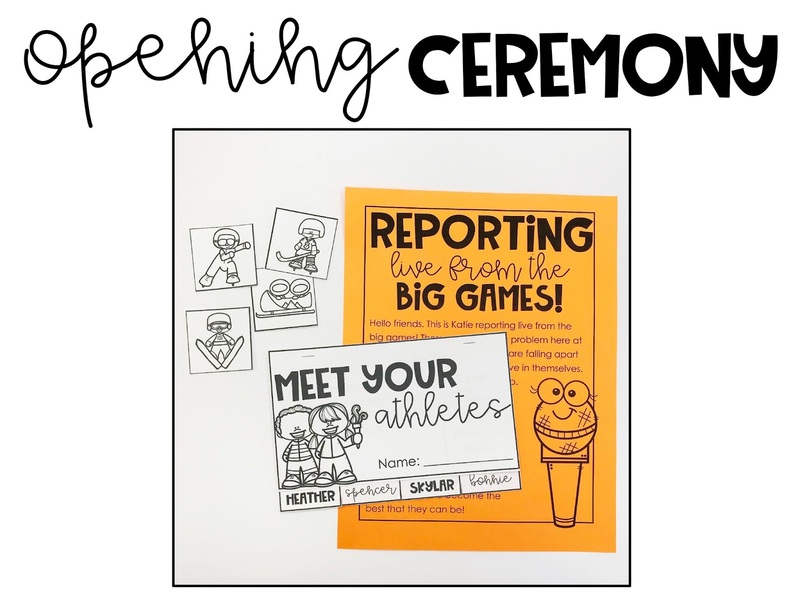 They will read about each athlete and will complete a flip book by pasting athlete pictures on the correct pages. 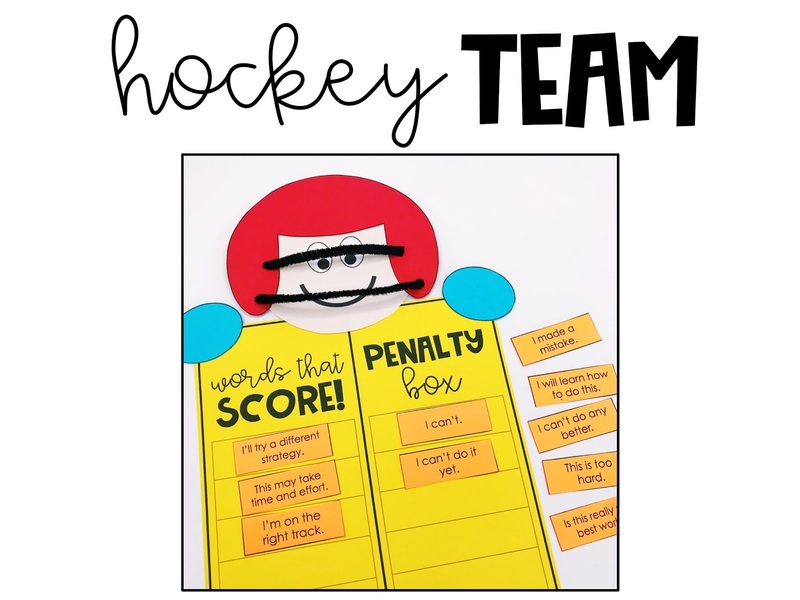 Heather the hockey player and her team needs our help because they are feeling discouraged and have negative attitudes. 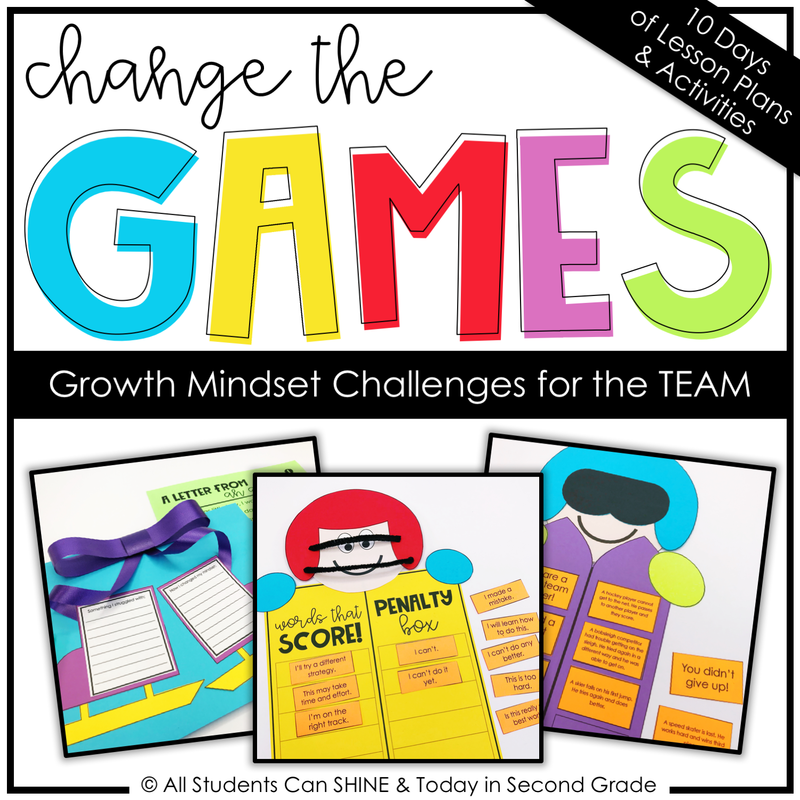 Students will help the team by sorting growth mindset phrases and fixed mindset phrases. They will complete a hockey craft to display their work. Spencer the speed skater has written a letter to our students. They will read all about how he never gave up and was determined to make it to the big games. 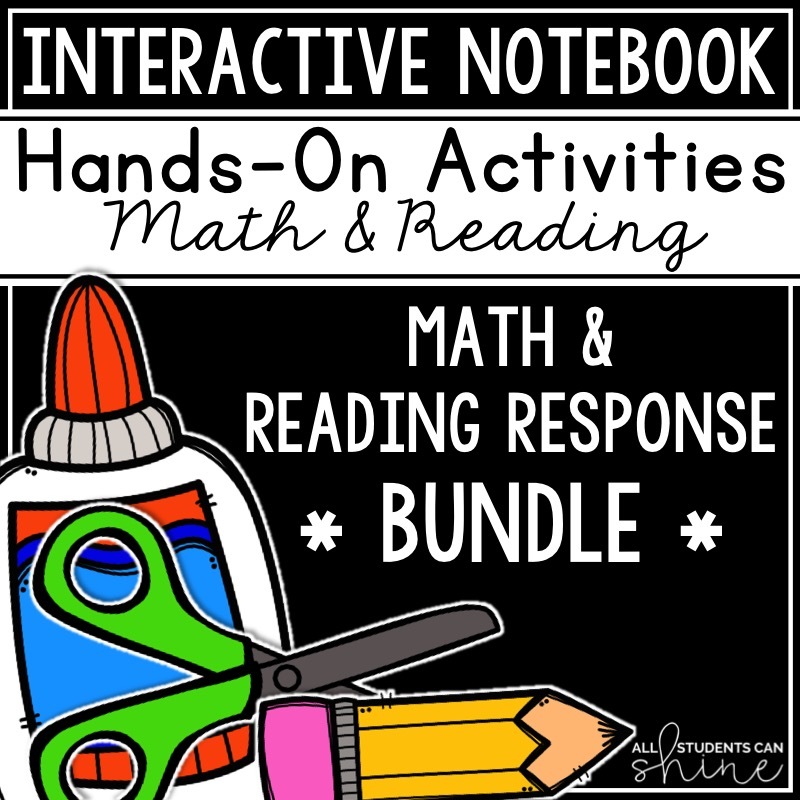 They will then respond to the letter by writing about a time that they struggled with something and had to keep a positive attitude in order to overcome their difficulties. 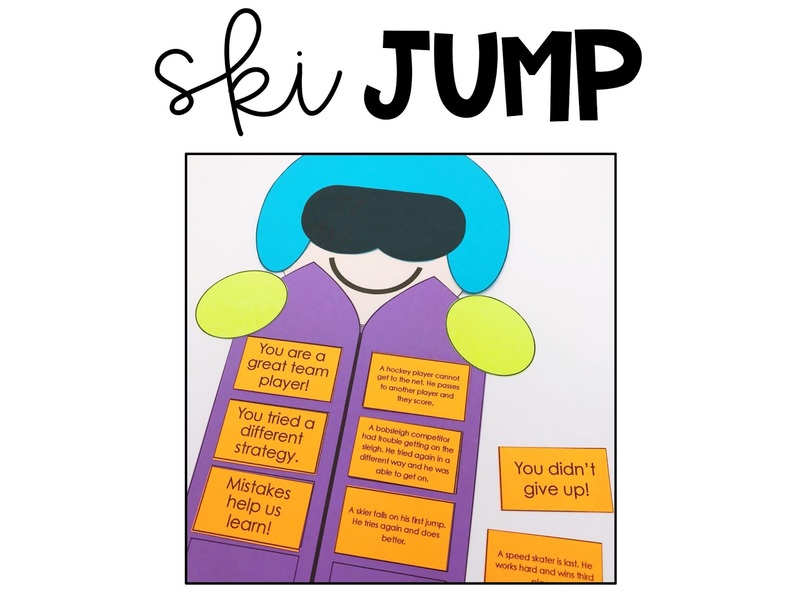 Skylar the skier will ask our students to help him use appropriate motivational messages to encourage his fellow athletes. 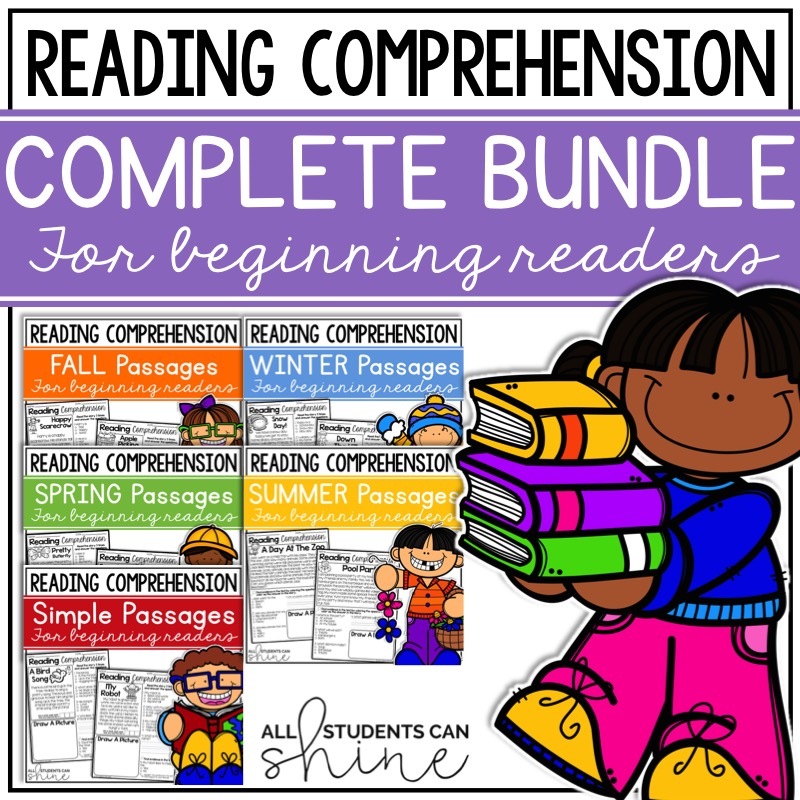 Students will read phrases and match them to the correct scenario. 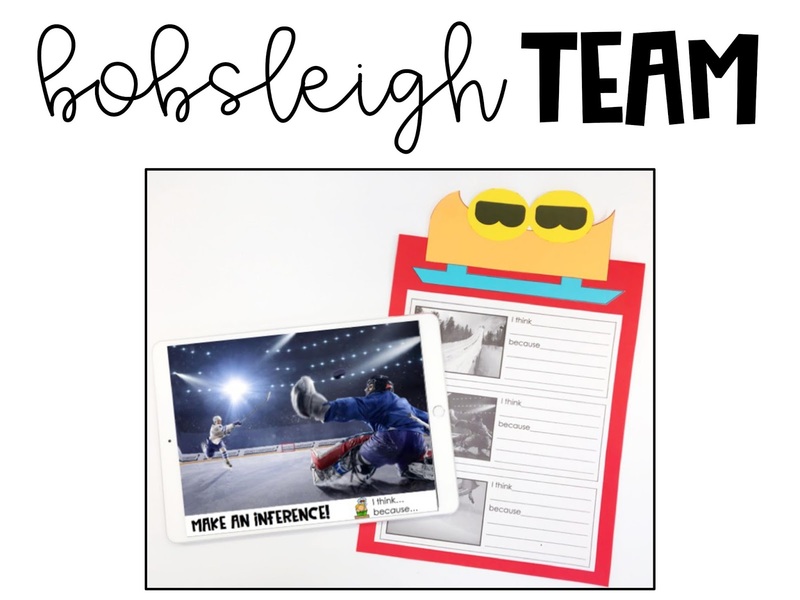 Bonnie is on a bobsleigh team and she loves to take pictures at the big games. Students will look at her pictures and will write inferences for each one. They will create a nice bobsleigh craft to display their writing. Before the closing ceremonies, students will work on a few more fun challenges. 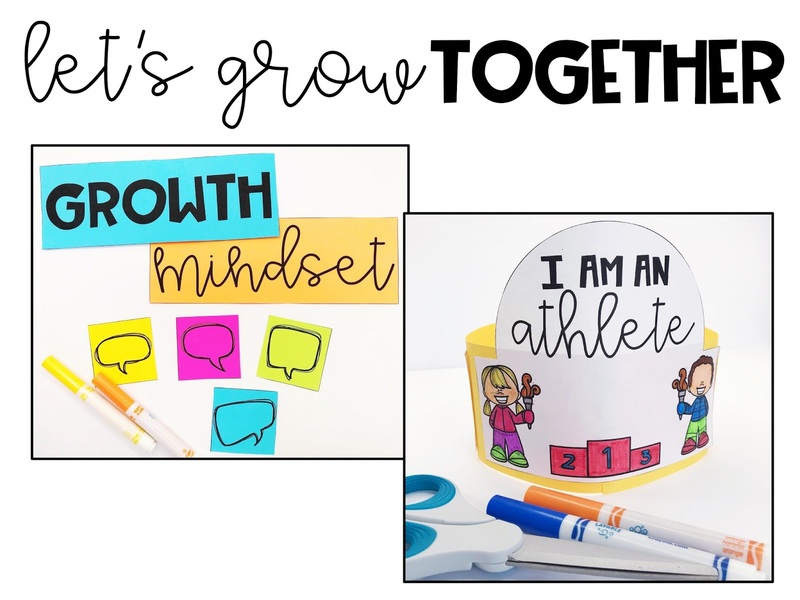 They will create a class book, make cute athlete hats, and work together to assemble a growth mindset anchor chart. At the closing ceremonies, students will get another letter from the reporter. They will have collected all their puzzle pieces and will receive a fun coloring page to celebrate! 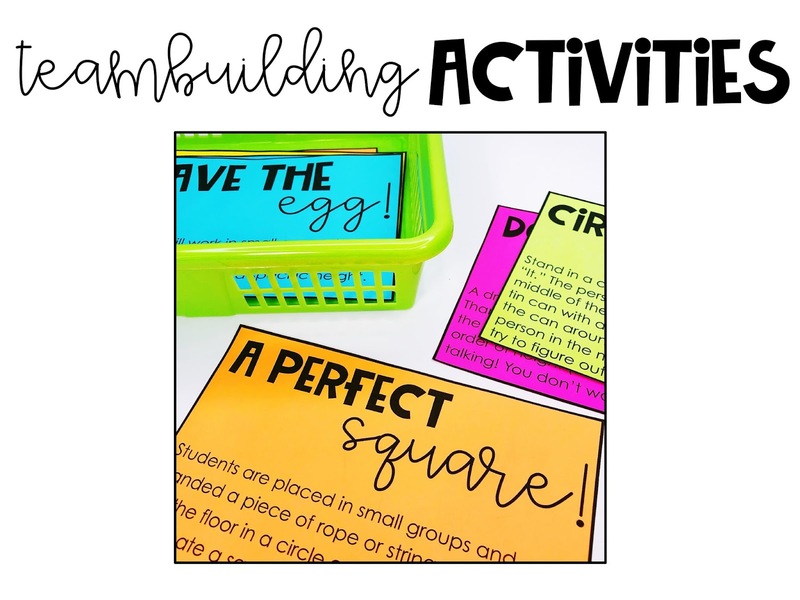 At the very end of this mission, you will be provided with team building games that can be played in your classroom. 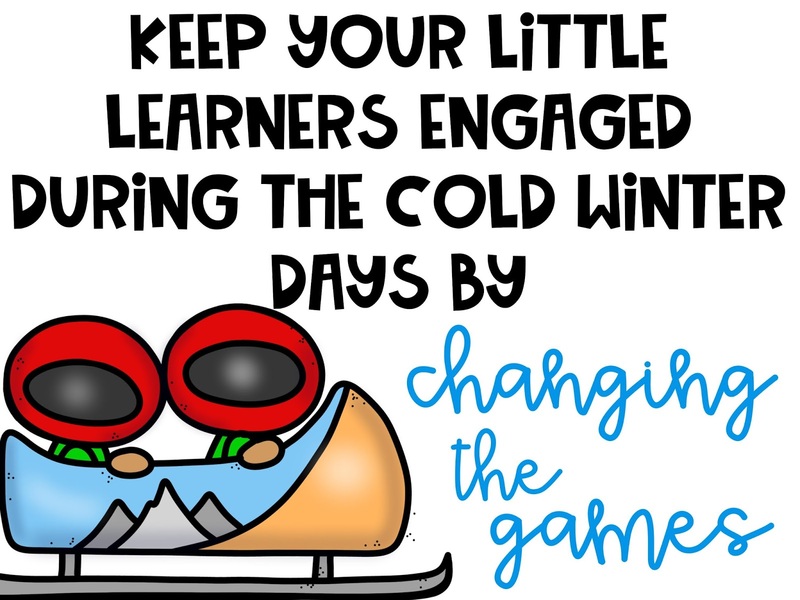 We hope your students use their growth mindset and have fun with them! 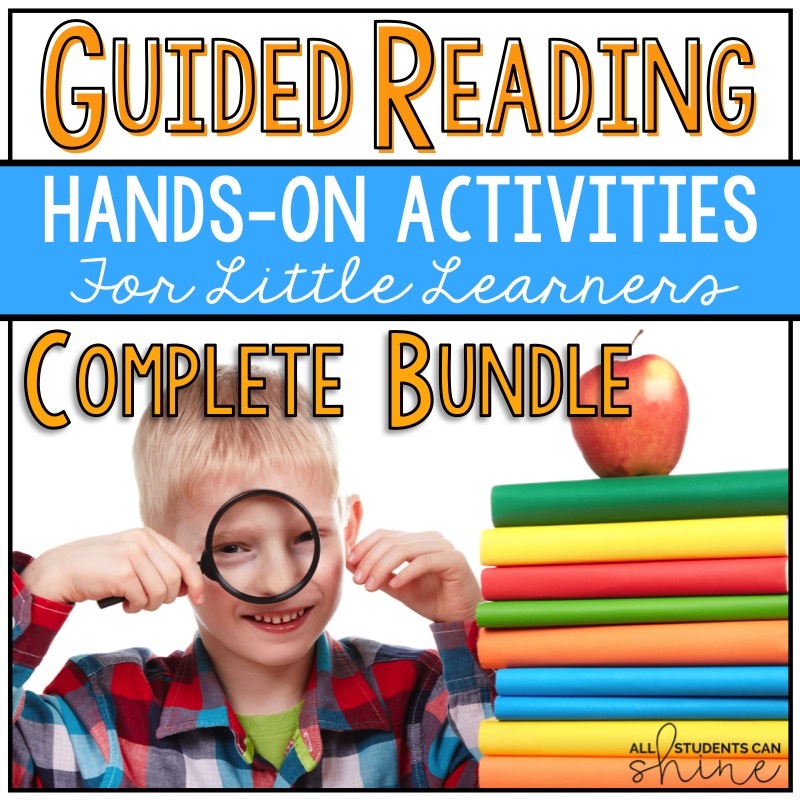 You can find all the activities above HERE! Just because, we added a FREEBIE in the preview file. 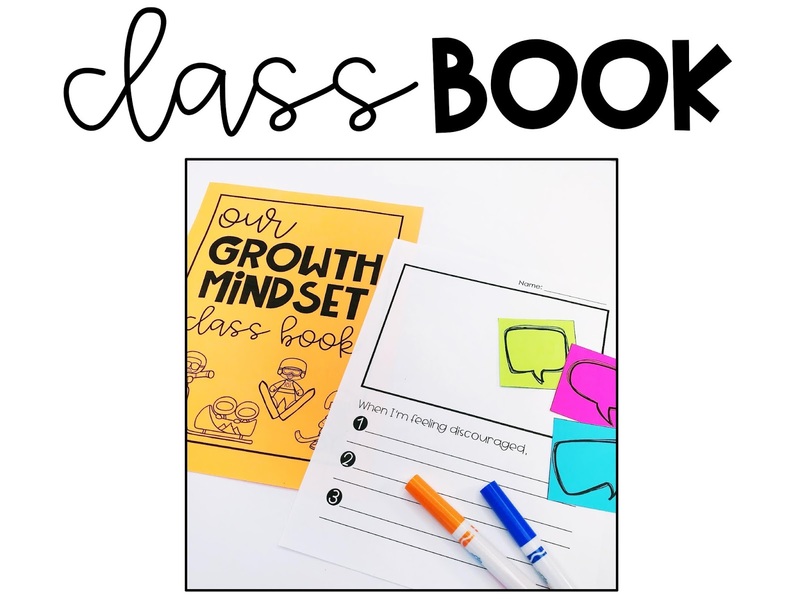 Click on the link above to get it!